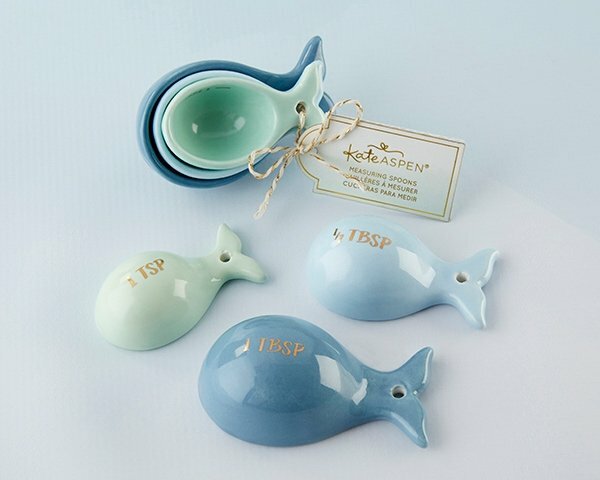 Hosting a stock the kitchen party or looking for a unique favor your seaside soiree? 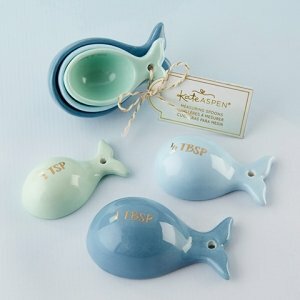 Kate Aspen's Ceramic Whale Shaped Measuring Spoons are the perfect fit for coastal-inspired favors. 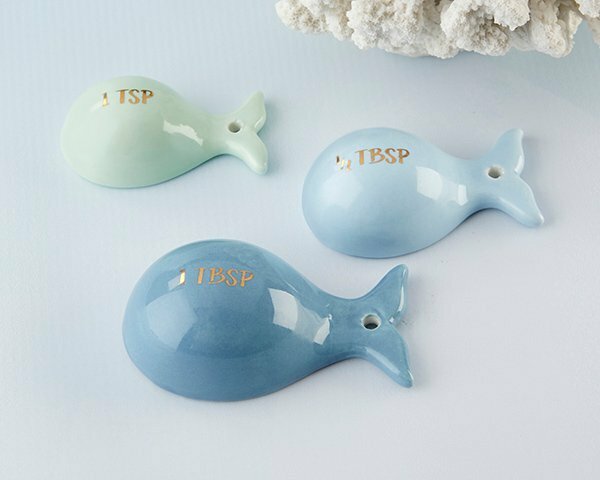 Each set of ceramic measuring spoons comes with a tablespoon, half tablespoon and teaspoon - no need to guess on the amount of fun and whimsy these favors deliver.